It is estimated that at any point in time, one in six working age people will be suffering from mental illness. Mental illness affects each person differently and can significantly impact on the individual, their family, friends and work colleagues. 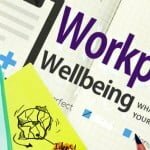 In recent times there has been a push for organisations to be proactive in the way they manage and promote mental health within their workforces. The best businesses have recognised that it’s no longer acceptable to focus solely on the management and prevention of physical injuries. These businesses have acknowledged that providing support and resources for their employees to help manage their mental health is just as important as their physical health. There are a number of organisations, such as beyondblue, who are campaigning to raise awareness and change the stigma associated with mental health. But what are we doing to support our employees while at work? Would your superiors be able to interpret the signs if one of your employees was having mental health issues? Would they be able to take action and intervene?? Addressing mental health in the workplace can be achieved in a number of different ways but a great place to start is with the Mental Health First Aid (MHFA) Course. MHFA is the help given to someone that you are concerned may be developing a mental health problem or is in a mental health crisis. The MHFA course educates participants about common mental health issues, how to intervene and how to support people showing signs of mental health problems. 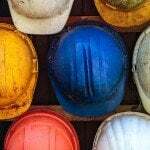 MHFA courses are now offered as part of Bodycare Workplace Solutions complete Injury Prevention Program. Bodycare have a team of fully training MHFA facilitators that are able to conduct MHFA courses in your workplace. Bodycare also offers public courses for those with small workforces. Please note that lunch will be provided on both days. We also have the capacity to running MHFA course in your workplaces. These courses can be held over 2 consecutive days or can be split over a 2 week period.